One of the biggest components of keeping your kitten happy and healthy is by providing them a balanced diet with wellness cat food and snacks. There are multiple cat food brands which carry high quality, nutritious kitten food. However, it is crucial to know which food is the best kitten food for your young cat. 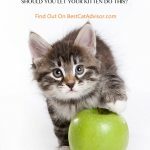 In this kitten food reviews article, our cat food advisor will focus on the best kitten food brands to share the guide to choose kitten food for your cat. 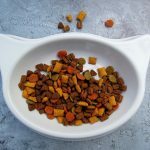 Check out the best kitten food 2018 as below. 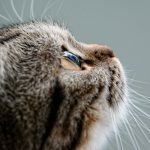 When it comes to buying the best kitten food, cat food comes in many different varieties and is very prevalent at all pet food stores, Amazon, convince stores, etc. 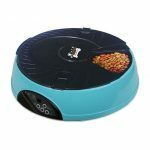 According to my experience, Amazon is the best choice and most trustworthy to buy cat food online. Of course, you can choose the other stores to buy cat food for your cat. With the wide selection, it is incredibly important for you to know what is the best choice for your kitten. By providing a high-quality diet with nutritious food and snacks, your kitten will surely enjoy it and thank you. What’s more, the immense health benefits will be great for your cat’s health in the present and future. Generally, there is a large difference between the kitten food and (adult/elder) cat food. The kitten food is specifically made/developed for the young bodies and minds of kittens. While cat food is designed to cater towards the needs of grown-up cats. Usually, the kitten food is softer than adult cat food and contains more protein which is needed in the early months of a kitten’s development. While adult cat food contains different vitamins and minerals important for older cats. So, as one kitten owner, it’s necessary to learn how to buy the best kitten food for your kittens. How to Buy the Best Kitten Food? When it comes to discussing what kitten food to buy, one very important tip is to check the ingredients thoroughly before purchasing it. There are many vital ingredients which should be included in kitten food to help with your kitten’s development and growth. The ideal kitten food should include all of these in the recommended dosages. One specific thing to look for is taurine. Taurine is an amino acid that is very important for a cats diet. Without a sufficient amount of taurine in their systems kittens can develop many dangerous health effects. It can lead to long-lasting heart issues and eye problems as well. Another important thing to look for is vitamin C and E. They are very crucial for kittens physical and mental development. Wellness kitten food should include Vitamin C and Vitamin E.
When it comes to buying kitten food, you should observe the count of calories. Generally, kitten food has a higher amount of calories than adult cat food. This happens because kittens expand a large amount of energy throughout the day and need to have that compensated through their food. They require an amount of calories to be able to withstand that and develop/grow properly. One more tip when looking for the right kitten food is to take consideration of what brand it is manufactured by. 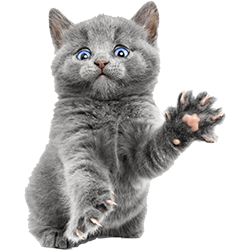 It’s best to choose these cat food brands which have gone through AAFCO feeding trials. This means that their cat food has been tested on real cats/kittens without any problems. If they have this badge, it is usually a very good sign of the quality of the cat food. When taking into consideration what kitten food to buy, these tips are very helpful. 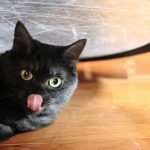 By using these tips, you can find a great, wellness kitten food for your young cat serving them in their growth and development. Nowadays, the largest market for kitten food is Amazon online store. On this platform, you can find countless different types and brands of cat food which are great for young cats. However, with the large variety, it is important to find something which caters the needs of your kitten and also being in your budget range. In the following content, our cat food advisor reviewed the top 5 best-selling kitten food on Amazon. These are the most worth purchased and highest rated kitten food on Amazon. Purina Fancy Feast Gourmet is popular wet cat food for the kitten. This is an amazing kitten food made with real ingredients. Purina Fancy Feast Gourmet wet cat food including fish and milk, the important is that this kitten food includes all important minerals and vitamins, your kitten will definitely love this canned food. 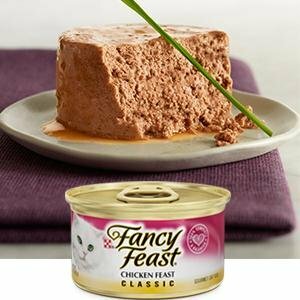 Purina Fancy Feast Gourmet wet cat food with an amazing price to go along with it, this is a very popular choice for the kitten. One negative that users have reported is that it can get a bit messy especially when kittens eat it. 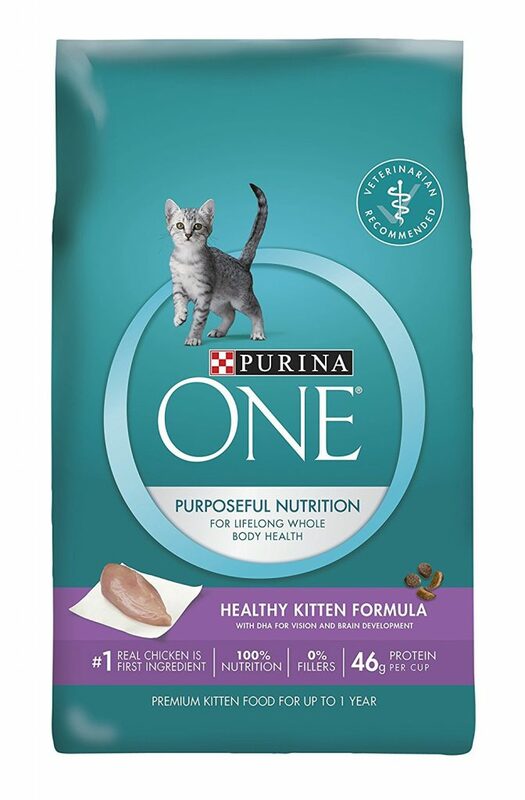 Purina ONE Healthy Kitten Formula Premium dry cat food is another one best-selling kitten food. This is a great cat food option for your young kitten. This dry cat food mixed with some of the highest quality ingredients, essential vitamins, and minerals for a kitten’s development. Real chicken is the main ingredient of this cat food and contains high proteins which can help grown strong muscles. Crunchy kibble also helps reduce plaque buildup and whiten teeth. You shouldn’t go wrong with this nutrition kitten food option. With a very affordable price and great reviews, this is an excellent kitten food. BLUE for Cats Kitten Dry Cat Food is also a great kitten food option which is very popular and affordable price. This is a protein-rich kitten dry cat food, it contains deboned chicken, it’s tasted delicious. BLUE for cats kitten dry cat food contains wholesome whole grains and veggies, which contribute to vitamin supplements. The reviews are amazing and most kitten very enjoys it. The only complaint is that some owners don’t like the vibrant smell of the kitten food. 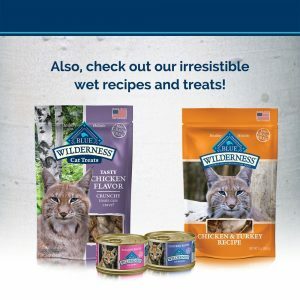 As a cat owner, you must know that BLUE Wilderness is a famous and popular pet food brand. So, it’s reliable to choose this high protein grain free kitten dry cat food for your cat. Blue Wilderness Kitten Grain-Free Chicken Dry Cat Food is an amazing kitten food option which is highly nutritious. This is kitten food that contains a protein-rich and deboned chicken. It’s cheap kitten food and tastes delicious. It got great reviews from kitten owners. The kitten owners say that it allows kittens to really grow and develop properly. One negative thing is that it only comes in one flavor. It only comes in one flavor. 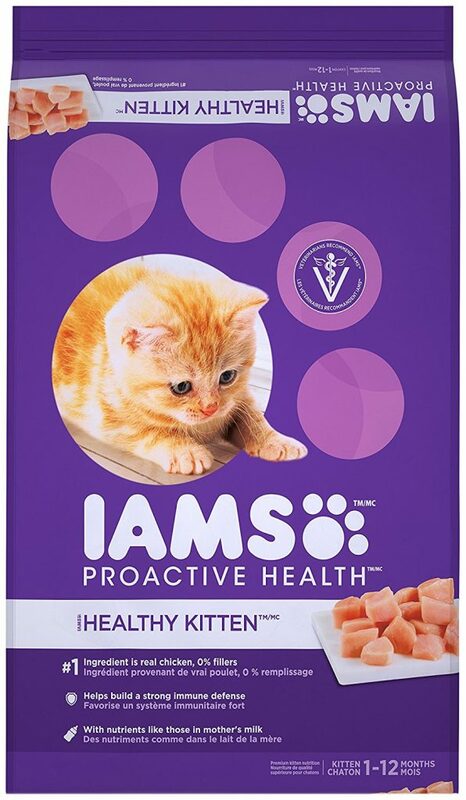 IAMS Proactive Health Kitten dry cat food is also an excellent kitten food option. 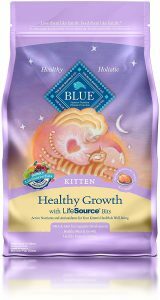 This kitten food is well suited to support the health of growing kittens and helping build a strong immune defense. It formulated with nutrients like those found in mother’s milk and nutrition balanced. This health kitten dry cat food comes in a very large bag at a very affordable price. With some of the best reviews, kitten owners really love this cat food option. The only negative voice is that it may cause stomach issues for some youngers cats until they can get accustomed to it. As we mentioned above, when looking for a high-quality kitten food for your kitten, there are many options. So, it is very important to know what is best suited for your young cat and their health. The food that you feed them is one of the most important factors you need to consider and a crucial decision you must make. By referring this guide to choosing the best kitten food, we hope that you can make a great choice on buying what kitten food in the future.